All of our employees strive to be professional and stay ahead of the latest innovations in the industry. In order to do this, we work hard to continue our education through manufacturer’s training, field training, and years of experience. 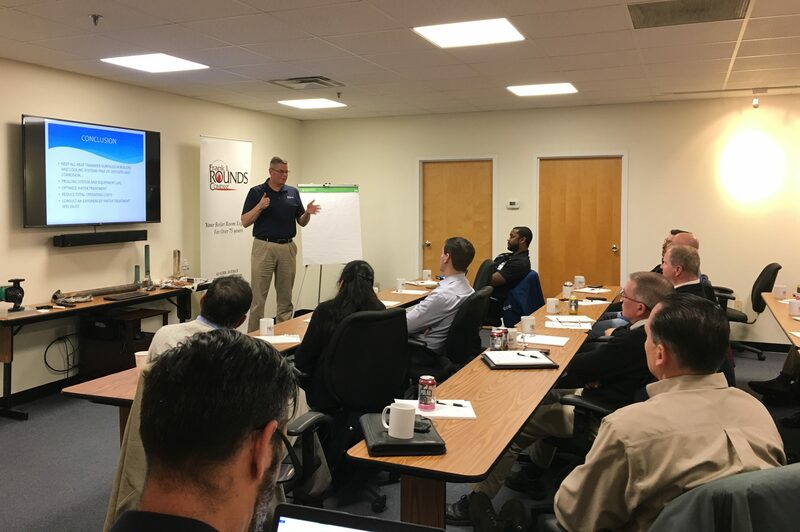 Lunch presentations at your site to describe new energy-saving technologies and how they can be applied to your design or system. Field training for facility managers/engineers to run through the operational side of newly commissioned equipment that we sell. Symposiums at our office to review multiple topics related to one field. These are offered periodically. If you are interested, simply give us a call. Lunch presentations and field training are on demand. For symposiums, keep an eye out for social media announcements, or drop us a line to ask when the next gathering will be. For more information on Frank I. Rounds Company’s training programs, please fill out this form or call (800) 696-6440 and one of our training instructors will be in touch with you shortly.